Admitted Luddite Tig Notaro has finally at least kind of joined Twitter. 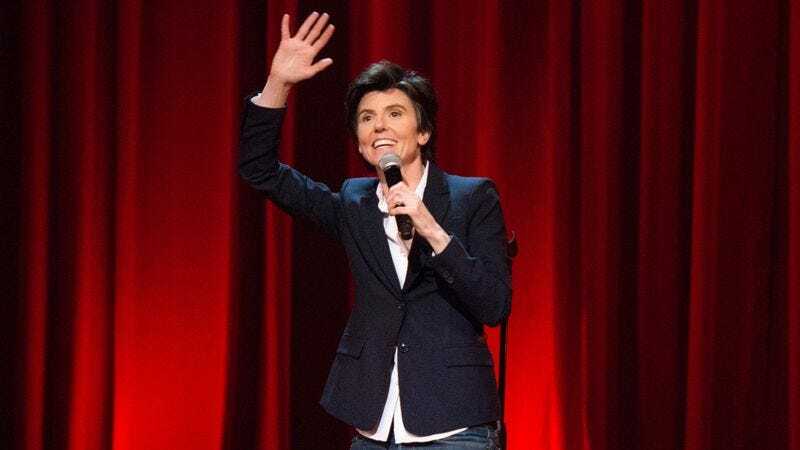 The comedian is spending the ramp up to her August 22 comedy special by handing her @TigNotaro handle over to a different comedian pal for each of the next 20-odd days. So far, Sarah Silverman, Kumail Nanjiani, and Mary Lynn Rajskub have “become” Notaro, a premise that’s lent itself to effusive compliments ostensibly written by Notaro and directed at Nanjiani and a reasonable amount of Tig-related punnery. Some of the best tweets to date are below, but anyone interested in a more thorough and thoroughly surprising stream of non-Tig Notaro penned tweets that are, at least in part about Tig Notaro should follow @TigNotaro on Twitter. Tig Notaro: Boyish Girl Interrupted premieres August 22 on HBO.